Tracy Lawrence released “Good Ole Days“, one of the most ambitious and significant albums of his career last month, and the fanfare surrounding the 11 cuts has been nothing short of astounding. Today, CMT Music premiered the “Good Ole Days” music video featuring Country stars Big & Rich and 3 Doors Down lead singer Brad Arnold. Watch the video on CMT’s 24/7 digital music channel CMT Music and on CMT.com here. All four artists gathered at the Tootsies World Famous Orchid Lounge in Nashville to shoot the fun music video. The clip was produced and directed by Carl Diebold for Sincera TV productions. Good Ole Days celebrates the indelible mark Lawrence has left on country traditionalism. The 11 duets pair a selection of his most iconic hits with some of Country and Rock’s contemporary superstars and newcomers. In addition to Arnold and Big & Rich, the collaborative collection includes guest appearances by Jason Aldean, Luke Bryan, Luke Combs, Easton Corbin, Dustin Lynch, Tim McGraw, Justin Moore, Kellie Pickler and Chris Young. The album hit the #1 position on iTunes Country Chart, debuted at #10 on the Billboard Top Country Albums Chart, #25 on Billboard’s Top Current Albums, #87 on the Billboard 200 Chart, #11 on Billboard’s Digital Album’s Chart and #2 on the country portion of that chart. A portion of the proceeds from the “Finally Home” duet with Craig Morgan will be donated to Operation Finally Home, a national, non-profit organization providing mortgage-free, custom-built homes to wounded, ill and injured veterans or widows of the fallen, thanks to their unique network of experienced builders, suppliers, and supporters dedicated to honoring heroes with homes. 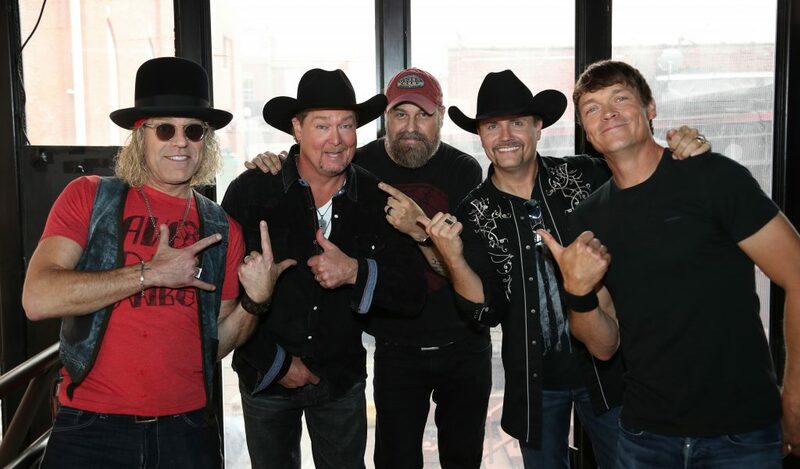 Tracy hosted his 12th Annual Mission: Possible Turkey Fry and 3rd Annual Concert in Nashville last week and raised over $148,000 for the Nashville Union Rescue Mission. An army of volunteers gathered to help fry over five hundred turkeys. More than five thousand meals were prepared for homeless and underserved families in the Middle Tennessee area. The evening concert at the Wildhorse Saloon, featuring Luke Combs, Clay Cormier, Ben Gallaher, Halfway to Hazard, William Michael Morgan, Jamie O’Neal and Lawrence followed the day of cooking and raised $28,787.19 in ticket sales alone, with proceeds going to benefit Nashville Rescue Mission. The Mission:Possible blueprint is spreading to other cities, as Dallas Life Mission celebrated their second turkey fry and Louisville Rescue Mission held their first turkey fry and concert on Wednesday of last week. Both cities reported successful and safe events. Additional cities are slated to come on board in 2018, as the new 501-C3 gains momentum across the U.S.